Throughout your stay, our organisers will give you a taste of entertainment with a capital “E”. Sports, fun and amusement, you won’t be able to resist joining in our great holiday activities! With the family or with your friends, with the kids or just the two of you, life’s going to be amazing at the camping Les Tropiques. Can’t wait to discover the programme? Here’s just a little taster of what’s in store: sports tournaments, early morning workouts and stretching, aquagym and other sports in the water like our afternoon water-polo sessions, dance lessons at the end of the day, shows and amazing evenings for partying into the night... So don’t be shy, come and get into the swing with one of our activities! During your holiday on the shores of the Mediterranean, make a date with its vast range of watersports! Fun tubing, jet ski, water-skiing, catamaran, windsurfing, SUP... The seaside resorts in the Pyrénées-Orientales are ready and waiting for you! If you love nature and breathtaking views, the Yelloh! 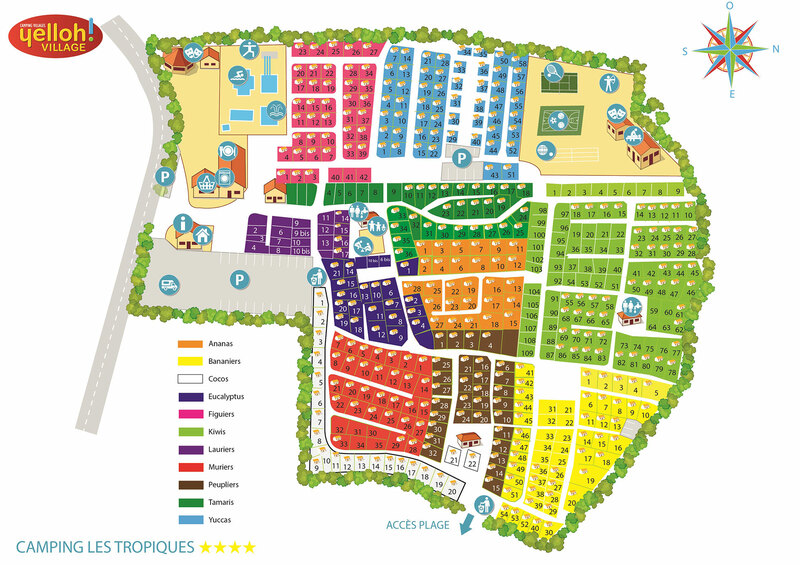 Village Les Tropiques is just the spot to spend your holiday. The Pic du Canigou, the mountains of the Pyrenees, the varied coastline... So many wonders to discover! Camping at Les Tropiques, also means taking a leisurely stroll through some of the picturesque towns nearby: Perpignan, Banyuls, Argelès-sur-Mer and Collioure are all more than worth a visit. Not forgetting Catalan culture and Mediterranean gastronomy... So don’t wait to explore this inland area so rich in history and tradition.